I’ve started the Brine Fly Headband just in time to see the real brine flies at the lake. Although the pink test headband I did was beautiful, I am not really a pink person. I like neutrals better so this headband appeals to me much more. 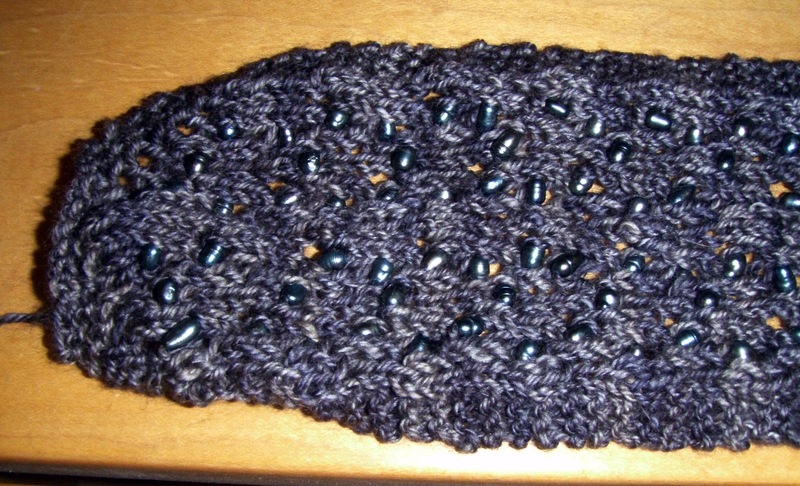 I was able to finally get the pearl beads on the yarn. It just took some creative thinning of the yarn end. I hope to have the pattern done soon as well. It shouldn’t be too hard because it is quite small. I am going out of town for work which means nights without children and the possibility of uninterrupted knitting.